This episode has been a long time coming. 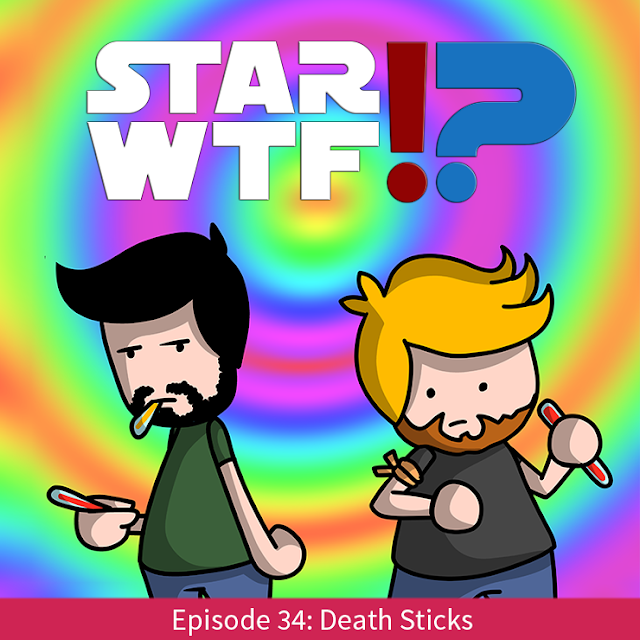 Today we discuss Death Sticks, you know the illegal substances that Elan Sleazebaggano tries to sell to Obi Wan in Attack of the Clones? It's only one of the weirdest scenes in the prequel trilogy. We research Death Sticks to see what they're all about and try to determine whether or not this is just bad writing, or anti-smoking PSA message in the middle of a Star Wars film? You be the judge. Death sticks were a mild hallucinogen primarily sold on Outer Rim worlds, but could be found in abundance on Coruscant. Originally developed in the illegal pharmaceutical labs of CoCo Town, they were relatively cheap and were smuggled into the clubs of cities by slythmongers. The cilona extract offered euphoria in exchange for a horrific outcome, producing a twisted version of reality enhanced by bright colors. With each dose, the user's life was shortened, and the successive dosages took away larger chunks from a lifespan. With each successive dose, the desire for a harder reaction increased. It was thus very difficult for a youth to shake off their addiction without medical assistance. 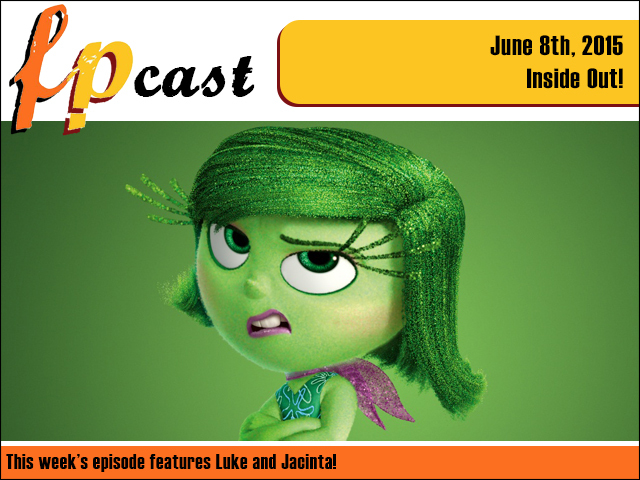 FPcast for June 8th 2015! Inside Out! This week we deliver an early review of Pixar's very thoughtful Inside Out, and Cameron Crowe's completely baffling Aloha! 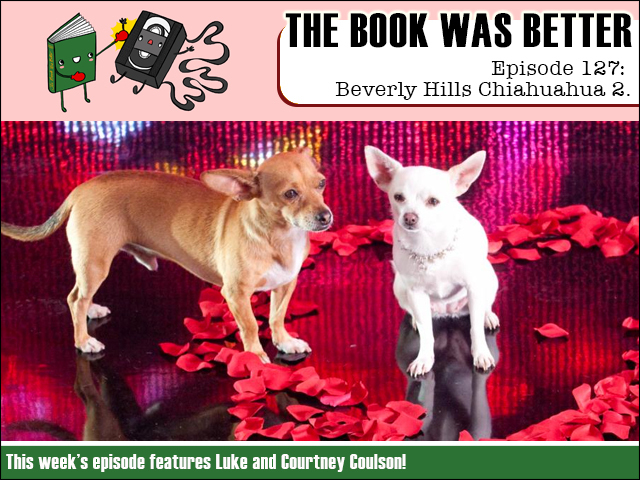 Plus we chat Han Solo's first wife, watch a whole bunch of movie trailers, discuss vidja games, and catch up on Game of Thrones!